Mines and construction sites often deploy portable diesel powered trash pumps to handle excess dirty water. Either wet prime pumps or dry prime pumps are used for this duty. To prime wet prime pumps, water is added to the pump chamber. Dry prime units use a vacuum pump to assist with priming. 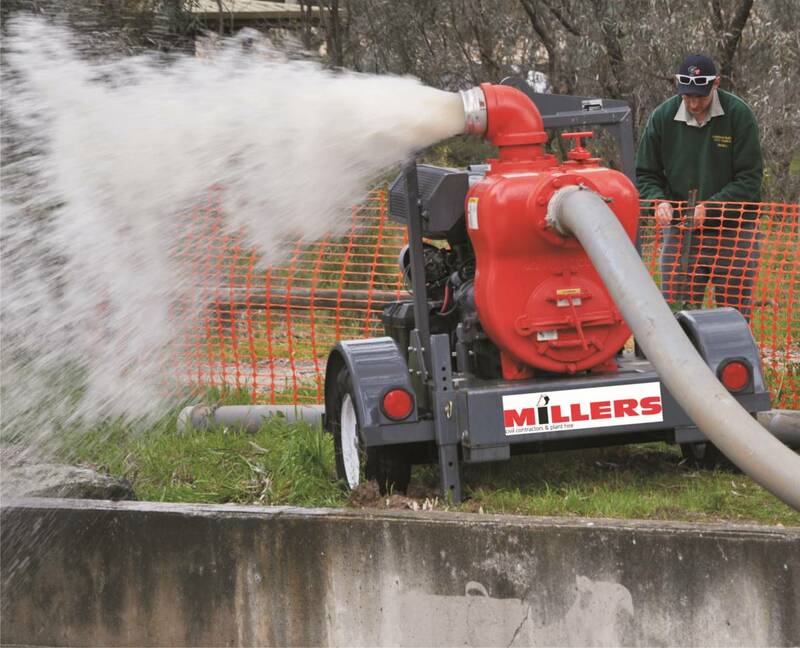 Aussie’s wet prime 6” MQ600 in action pumping 6,000 lpm! The huge advantage wet prime trash pumps have over dry prime is their simplicity. They don’t need fancy priming apparatus in the form of complex compressors or vacuum pump systems. Conventional dry prime pumps use an induction style system not designed for trash handling. Wet prime trash pumps are one of the easiest pumps to set up, use and maintain. With fewer moving parts, they are also the most reliable! Industry experts recommend using pumps capable of handling silt and sand laden water. These are ideal for transfering stormwater, change the course of creeks or drain excavation sites, without “choking”. Big open “non-clog” styled impellers enable wet prime trash pumps to handle solids in suspension. What differentiates them from the rest is the ability to handle solid laden liquids. This includes flood water, slurry, and even effluent with solid concentrations up to 25% of the liquid volume! They can deliver flows of up to 6,000 lpm and heads as high as 47 metres. “Some operators use dry prime pumps for site dewatering as they don’t understand how simple the wet prime principle is”, said Aussie Pumps’ Product Manager, Brad Farrugia. Prior to starting for the first time, wet prime pumps require the pump cavity to be filled . The pump will subsequently self-prime as long as there is water above the impeller. The simplicity is also what makes these pumps so popular! “Trash pumps have a lower investment cost and lower maintenance costs compared to vacuumed primed pumps”, said Farrugia. Wet prime pumps can last 20-30 years with regular maintenance! Dirty water is extremely abrasive. Aussie’s range of trash pumps has hard-wearing internal components. They feature high grade SG cast iron impellers and volutes plus silicon carbide mechanical seals for abrasion resistance. 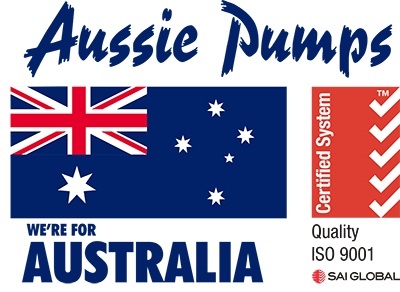 Australian Pump produces a “Aussie Pump Smart Guide” that not only provides full technical information, weights, dimensions, etc. on the full range of engine drive pumps, but also shows performance curves that enable the right pump for the job to be selected.